Innovative, efficient, and energizing, join over 100 independent specialty outdoor retailers and over 100 top brand exhibitors and sales reps for our Spring ‘18 Connect show. The invitation-only Connect features a unique format that simplifies the typical tradeshow, focusing efforts on buying and selling, collaborating on product developments and performance, and learning about industry trends, data, and best practices. We couldn’t be more excited about bringing the heart of our industry together, as key brands and retailers work together to set the course for the category as a whole. Set-Up and Move-Out times are tentative and subject to change. If you’re an established specialty outdoor retailer who enjoys ideas, innovation, and collaboration, AND you are interested in attending the next Connect show, please request an invitation through Dana Howe at dana@grassrootsoutdoors.com. If you’re an exhibitor or sales rep that understands the needs of the specialty retailer, has reputable products to offer, AND want to cultivate strong relationships with those at the heart of the industry at the next Connect show, please request an invitation through Devaki Murch at devaki@grassrootsoutdoors.com. A vibrant city surrounded by mountains, quarry lakes, streams and rocky outcrops, Knoxville offers Connect attendees a place to explore and adventure during their visit. Arrive early, stay later, or take a break from the show to explore the surrounding area with Connect friends and colleagues. You’ll love the experience here. We’re pleased to provide Connect attendees with options and special rates for accommodations during the show. It is suggested that you reserve space early, so you don’t miss the opportunity to continue the camaraderie outside the show floor. Knoxville’s McGhee Tyson Airport (KNX) is the premier air facility serving East Tennessee. Located just 12 miles from downtown Knoxville, McGhee Tyson Airport is one of the most convenient and accessible regional airports in the nation. 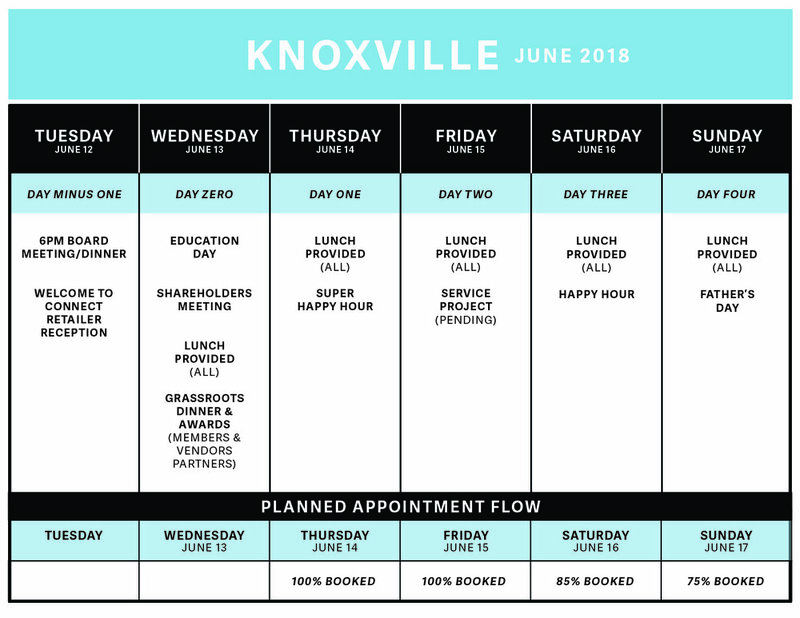 For updated flight information, visit flyknoxville.org.